Last Saturday, about 100 members of the Cherry Hill community came together to honor the late Joyce Alexander Walker, our beloved friend and former Councilwoman who passed away last December, and to dedicate the Cherry Hill Public Library's Multicultural Room in her memory. Joyce, who served on the governing body from 1997-2005, was Cherry Hill's first African-American Council member, and a truly selfless community servant. I was proud to stand alongside Joyce's husband Felton, her family, and friends including former Mayor Susan Bass Levin, former Councilman Dr. Stephen Barbell, Council President Dave Fleisher, and members of the Cherry Hill African-American Civic Association, to officially rename the Joyce Alexander Walker Multicultural Room. It is a fitting tribute to a wonderful woman who truly made Cherry Hill a better place to live, and whom we deeply miss. Click here to read more. 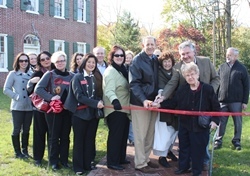 On Sunday afternoon, Council and I joined the Friends of Barclay Farmstead to celebrate recent upgrades to historic Barclay Farmstead that have made the 19th-century Quaker farmhouse more accessible to residents of all abilities. We proudly unveiled a new, handicap-accessible walkway that open the house's front entrance to those with mobility issues, and new virtual tours that have opened up the house's second floor - and the entire property - to all visitors. The virtual tour was very generously designed and donated by HAAG 3D Forensics in Mount Laurel, and can be viewed on special laptop computers located on the Farmhouse's first floor. These exciting upgrades will allow a greater number of residents than ever before to experience our community's living history - and bring us closer to our ultimate goal of making all our events and activities inclusive of all residents. For more information on events and activites at Barclay Farmstead, call (856) 795-6225, or email info@barclayfarmstead.org. Be sure to follow @HistoricBarclay on Twitter, and the Barclay Farmstead Museum on Facebook for information on events and activities throughout the year. 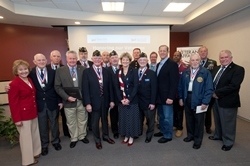 On Friday morning, I was proud to join the Camden County Board of Freeholders as they honored 6 veterans with the Camden County Service Medal and 8 with a Veterans Recognition Award at a special ceremony hosted by Bancroft Neuro Health at the Cherry Hill Public Library. The veterans who were honored either suffered traumatic brain injuries, or treat those that have sustained brain trauma. The Camden County Military Service Medal was created by the Freeholder Board to honor the men and women who have made Camden County proud by serving their country with honor and valor. Click here for additional details and photos of Friday's ceremony. The Cherry Hill Municipal Building will be closed Tuesday, Nov. 11, in observance of Veterans Day. Trash and recycling collection will be collected as scheduled. The Camden County Board of Freeholders, in conjunction with the Camden County Veterans Advisory Committee, will host a ceremony to honor the men and women, past and present, who have faithfully served our nation. Click here for more information. Join American Legion Post 372 in Cherry Hill for a Veterans Day Service and Flag Retirement Ceremony. Don't miss Holiday House 2014, from Nov. 21-23 at the Barclay Farmstead Museum! This year's "Holidays in Blue and White" decor features early examples of china, textiles and other artifacts, and will showcase the design talent of my wife, Stephanie, in the kitchen. As always, enjoy shopping in the expanded Museum Shop full of crafts and gifts for everyone on your list. There will be a raffle to support ongoing restoration and programming at the Farmstead. A $2 donation at the door is appreciated and contributes to the programs and mission of The Friends of Barclay Farmstead. Holiday House will be open from 10 a.m. to 9 p.m. Friday, Nov. 21; 10 a.m. to 5 p.m. Saturday, Nov. 22; and noon to 5 p.m. on Sunday, Nov. 23. For more information, call (856) 795-6225 or e-mail FarmsteadPrograms@yahoo.com. Cherry Hill Township recently received an Achievement in Planning Award for our efforts to improve the community’s quality of life through the LourdesCare at Cherry Hill project. 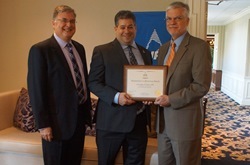 Township officials accepted the award at the New Jersey Planning Officials’ 2014 event in Warren, N.J. The organization recognized projects large and small that resulted from good sense and sound planning. This is just the latest accolade bestowed upon the LourdesCare project, which just 18 months ago transformed one of our community's main interchanges, at the intersection of Brace Road and Route 70. Click here to read more. Tired of trying out facial cleanser after facial cleanser? Don't empty your wallet, head to your kitchen! Come learn how to make your own facial masks and scrubs - we'll show you what yummy things are actually good for you inside AND out. Register today by clicking here! Are you an avid reader? Goodreads is a great website to discover new books and auth ors, have ongoing book discussions, and share and discover everything about books. In this class, we will be going over the basic functionality of GoodReads. Click here to register today, limited spots available! PREREQUISITES: Please try and create a GoodReads account prior to class and bring the login information with you. You can register at: www.goodreads.com. Stop by after school to make cool and useful stuff that you can take home. Crafts will include things like to othbrush robots, marshmallow shooters, up-cycled t-shirt fashion, duct tape crafts and more. Calling all fans of the popular Who Was series! Join us each month as we learn about a different famous person from the past. In November we'll learn about Jim Henson. Click here to register! This class covers more advanced topics including Tables, headers & footers, page numbering, and how to create and format envelopes and labels. Click here to register now! click here to save your spot today! Meet local people who love poetry as much as you. Inspiring discussions about poetry, and poetic forms and styles provide an opportunity to read aloud and discuss poems - one’s own or another’s. With new topics every month, participants explore this literary art and learn from each other. Listeners always welcome! This is just a snapshot of the hundreds of events, classes, activities and cultural programs held at the Cherry Hill Library throughout the year. Click here for the full events calendar, and visit www.chplnj.org to sign up for CHPLink, the library’s e-newsletter. You can renew books, place holds, pay fines and much more 24 hours a day, 7 days a week through the Library website. Stay connected by following the Library on Facebook, Twitter and Pinterest. For more information on any library program, call (856) 667-0300 or email info@chplnj.org. Join the fastest game on two feet and have fun! The Cherry Hill Lacrosse registration for the 2015 season is now open. Boys and girls in grades K through 8 are invited to participate. Registration is open through Jan. 15; however, space is limited--so register today! Those who register by Dec. 15 will receive the early bird discount. 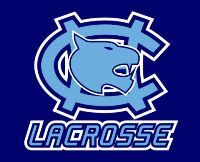 The club will also host a registration open house from 6-8 p.m. Thursday, Nov. 13, at RuffLax in Maple Shade, next to Iron Hill Brewery. Cherry Hill Lacrosse staff will be on hand to answer any questions, sample uniforms will be available to try on, and you may register on-site. We hope to see you there! For more information and to register visit www.cherryhilllacrosse.org. Want to improve your impact on your circles of influence and be the change you seek in the world? Attend Sustainable Cherry Hill's interactive leadership seminar, 7-9 p.m. Monday, Nov. 10, at the Circle of Hope Church, 3800 Marlton Pike, Pennsauken, for an evening of skills training and sharing. For more information or to register, click here. To learn more about Sustainable Cherry Hill, visit www.SustainableCherryHill.org. The Cherry Hill Fire Department will continue its 2014 Smoke Alarm Campaign this weekend in Surrey Place, Wexford Leas and Barclay Farm. Click here for more information. On Sunday afternoon, Council and I joined the Friends of Barclay Farmstead to celebrate recent upgrades to historic Barclay Farmstead that have made the 19th-century Quaker farmhouse more accessible to residents of all abilities. We proudly unveiled a new, handicap-accessible walkway that open the house's front entrance to those with mobility issues, and new virtual tours that have opened up the house's second floor - and the entire property - to all visitors. The virtual tour was very generously designed and donated by HAAG 3D Forensics in Mount Laurel, and can be viewed on special laptop computers located on the Farmhouse's first floor. These exciting upgrades will allow a greater number of residents than ever before to experience our community's living history - and bring us closer to our ultimate goal of making all our events and activities inclusive of all residents. For more information on events and activites at Barclay Farmstead, call (856) 795-6225, or email info@barclayfarmstead.org [mailto:info@barclayfarmstead.org] . 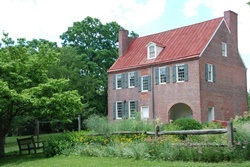 Be sure to follow @HistoricBarclay [https://twitter.com/HistoricBarclay] on Twitter, and the Barclay Farmstead Museum [https://www.facebook.com/pages/Barclay-Farmstead-Museum/194906327325322?fref=ts] on Facebook for information on events and activities throughout the year. Tired of trying out facial cleanser after facial cleanser? Don't empty your wallet, head to your kitchen! Come learn how to make your own facial masks and scrubs - we'll show you what yummy things are actually good for you inside AND out. Register today by clicking here [http://host6.evanced.info/cherryhill/evanced/eventsignup.asp?ID=5979&rts=&disptype=&ret=eventcalendar.asp&pointer=&returnToSearch=νm=0&ad=&dt=mo&mo=11/1/2014&df=calendar&EventType=ALL&Lib=&AgeGroup=ALL&LangType=0&WindowMode=&noheader=&lad=&pub=1&nopub=&p] ! Are you an avid reader? Goodreads is a great website to discover new books and auth ors, have ongoing book discussions, and share and discover everything about books. In this class, we will be going over the basic functionality of GoodReads. 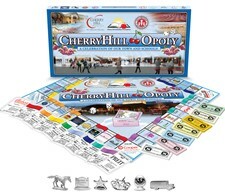 Click here [http://host6.evanced.info/cherryhill/evanced/eventsignup.asp?ID=6007&rts=&disptype=&ret=eventcalendar.asp&pointer=&returnToSearch=νm=0&ad=&dt=mo&mo=11/1/2014&df=calendar&EventType=ALL&Lib=&AgeGroup=ALL&LangType=0&WindowMode=&noheader=&lad=&pub=1&nopub=&p] to register today, limited spots available! PREREQUISITES: Please try and create a GoodReads account prior to class and bring the login information with you. You can register at: www.goodreads.com [https://www.goodreads.com/] . Calling all fans of the popular Who Was series! Join us each month as we learn about a different famous person from the past. In November we'll learn about Jim Henson. Click here [http://host6.evanced.info/cherryhill/evanced/eventsignup.asp?ID=6015&rts=&disptype=&ret=eventcalendar.asp&pointer=&returnToSearch=νm=0&ad=&dt=mo&mo=11/1/2014&df=calendar&EventType=ALL&Lib=&AgeGroup=ALL&LangType=0&WindowMode=&noheader=&lad=&pub=1&nopub=&p] to register! This class covers more advanced topics including Tables, headers & footers, page numbering, and how to create and format envelopes and labels. 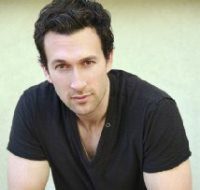 Click here [http://host6.evanced.info/cherryhill/evanced/eventsignup.asp?ID=6028&rts=&disptype=&ret=eventcalendar.asp&pointer=&returnToSearch=νm=0&ad=&dt=mo&mo=11/1/2014&df=calendar&EventType=ALL&Lib=&AgeGroup=ALL&LangType=0&WindowMode=&noheader=&lad=&pub=1&nopub=&p] to register now! 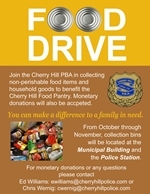 click here [http://host6.evanced.info/cherryhill/evanced/eventsignup.asp?ID=6060&rts=&disptype=&ret=eventcalendar.asp&pointer=&returnToSearch=νm=0&ad=&dt=mo&mo=11/1/2014&df=calendar&EventType=ALL&Lib=&AgeGroup=ALL&LangType=0&WindowMode=&noheader=&lad=&pub=1&nopub=&p] to save your spot today! Join the fastest game on two feet and have fun! The Cherry Hill Lacrosse registration for the 2015 season is now open. Boys and girls in grades K through 8 are invited to participate. Registration is open through Jan. 15; however, space is limited--so register today! Those who register by Dec. 15 will receive the early bird discount. The club will also host a registration open house from 6-8 p.m. Thursday, Nov. 13, at RuffLax in Maple Shade, next to Iron Hill Brewery. Cherry Hill Lacrosse staff will be on hand to answer any questions, sample uniforms will be available to try on, and you may register on-site. We hope to see you there! For more information and to register visit www.cherryhilllacrosse.org [http://www.cherryhill-nj.com/admin/www.cherryhilllacrosse.org] . Want to improve your impact on your circles of influence and be the change you seek in the world? 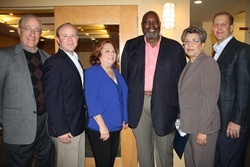 Attend Sustainable Cherry Hill's interactive leadership seminar, 7-9 p.m. Monday, Nov. 10, at the Circle of Hope Church, 3800 Marlton Pike, Pennsauken, for an evening of skills training and sharing. For more information or to register, click here. To learn more about Sustainable Cherry Hill, visit www.SustainableCherryHill.org [http://www.sustainablecherryhill.org/] .